Home > Latest News > Gledhill Quality Begins at Home. Gledhill Quality Begins at Home. Gledhill has been making cylinders for nearly 100 years, based solely in the UK. 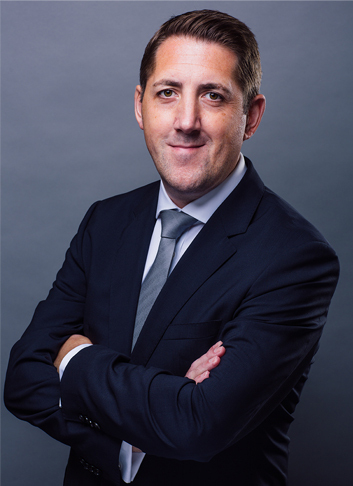 Mark Derbyshire, Gledhill Building Product’s Chief Commercial Officer explains the history of the company and the benefits of products that are made in Britain. In 1926 two brothers, Norman and Joe Gledhill, started manufacturing domestic copper cylinders in small premises in Blackpool. As the cylinder business grew, they moved to larger premises until the outbreak of World War 2, when copper supplies dried up and manufacture ceased. After the war Norman and his wife, Louise, set up Norman Gledhill & Co Ltd, manufacturing cylinders for plumbers’ merchants. At this point their two sons, Keith and Houghton got involved in the business after school and during holidays, delivering cylinders on a hand cart and helping on the factory floor. In the mid 1960’s, as Norman and Louise were reaching retirement age, they received an offer for the business which they accepted. However, their two sons continued to work for the new owners, who kept the Gledhill name. In 1972, Keith decided to set up his own cylinder making business in the premises his father had before the war. He was joined by his brother, enticed by the idea of custom made cylinders, and they opened a depot in Blackburn. As trading increased, they moved their Blackpool operation to a site next to Blackpool Airport, where the head office and Manufacturing Centre of Excellence for Stainless Steel is today. In 2015, Gledhill was acquired by Groupe Atlantic (GA), an international manufacturer of thermal comfort solutions. 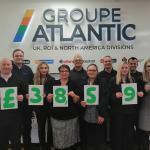 GA has more than 5,900 employees worldwide, with 20 factories across Europe distributing products to over 100 countries. Since the acquisition GA demonstrated its long term commitment to Gledhill, investing in both factory machinery and staff development. The benefits of British manufacturing are multi-fold from sourcing materials locally and the resulting environmental benefits to higher levels of customer satisfaction. At Gledhill we source our materials responsibly from quality UK suppliers reducing expensive transportation needs. Recently, we have made significant investment in our new distribution network, consisting of five hubs located across the nation, meaning the product is stocked closer to the customer. We maximise trailer load deliveries to our hubs to ensure we remain the most efficient business we can be. The ‘last mile’ logistics are carried out using our dedicated fleet of smaller, fit for purpose delivery vehicles. 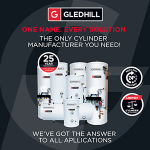 Gledhill is the only cylinder manufacturer to operate its own energy efficient fleet and can even offer next day deliveries direct to consumers on behalf of the merchant. This has the benefit of reducing material handling and speeding up the supply chain. We employ a local workforce, not only in Blackpool, but also in Hull, London, Bristol, and Birmingham. Plus, we are helping other British businesses to support their communities by sourcing our materials from them. And, buying from other UK companies puts Gledhill in a strong position enabling us to serve our customers well at a time of Brexit uncertainty. Gledhill is proud of its manufacturing & logistics sites and often host customer visits, demonstrating the benefits of our local skilled labour and infrastructure investment. It gives them confidence in our manufacturing capability and the quality and reliability of the products they are buying. It also gives us the chance to showcase our manufacturing capability within our Centre of Excellence for Stainless Steel and our Centre of Excellence for Copper, which are both based in the UK and therefore close to our UK market and customer base. Our unique distribution network holds over 4,000 cylinders in stock at any point, meaning delivering one cylinder next day, free of charge, is business as usual. 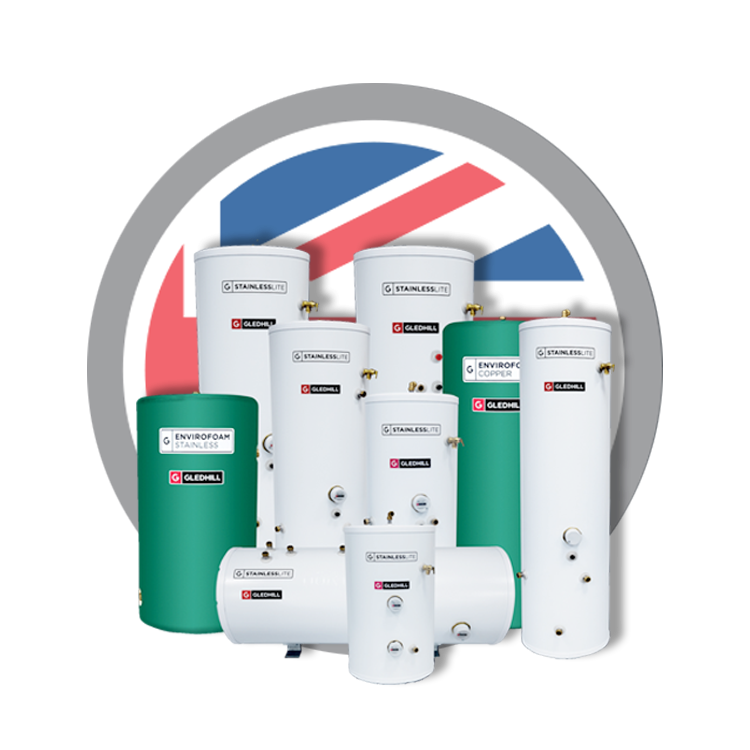 Gledhill is the only cylinder manufacturer to offer this service without additional transport charges. Our customer first attitude was the driving force behind the current distribution structure and is clearly what our customers like given the growth in market share that Gledhill has experienced over the past 12 months. We believe ‘Made in Britain’ resonates with both our merchant and installer customers and given the choice, where possible, our customers prefer to source locally where they can, especially when there is no price premium. Quality is at the forefront of all our products and we are proud to promote the fact that we are a British manufacturer. Feedback over the years from the sales team is that products ‘Made in Britain’ are held in higher regard as opposed to imported products. Gledhill does not have the challenge of extended lead times for product to reach the UK from overseas unlike some of our competitors. Equally, exchange rate fluctuations impact Gledhill less, given a large proportion of the cost of a cylinder is made up by the materials which we source locally also in sterling currency. This gives our customers more consistent and stable pricing. The impending Brexit decision could see goods vehicles stacked at European ports, waiting to bring materials to our competitors. Gledhill does not face this risk. There are always cost concerns when it comes to UK manufacturing over offshore manufacturing but cost differences are a myth. The manufacturing cost may be similar or less, but the total costof acquisition of finished products will almost certainly be higher. This is predominately due to the transport costs of the finished cylinders. However, another reason Gledhill cylinders are cost effective is that we have developed manufacturing techniques that enable the production of cylinders which meet the market requirements using less material than our competitors. Plus it’s important to remember that purchasing outside the UK, meaning delivery over a greater distance, incurs a greater risk and lead-time which needs to be buffered by increased stock holding again increasing our competitors’ costs. Made in Britain All Gledhill products are manufactured in the UK and distributed via its network of depots, boosting efficiencies and shortening lead times. Reliability Each of Gledhill’s products is subject to rigorous testing to emulate its lifecycle and ensure optimal performance. 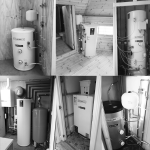 Peace of mind All Gledhill unvented cylinders come with a 25 year guarantee, as standard. Customer Service Whether you’re looking for technical advice, product expertise or aftersales support, Gledhill’s friendly, knowledgeable team are there to help. Experienced Installers Make Gledhill Proud to be their Selected Manufacturer. Choosing a Cylinder Manufacturer? What Should You be Looking for? 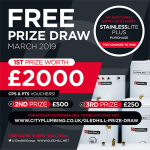 Gledhill Team Up with City Plumbing Supplies to Give You More! 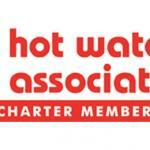 Unvented Hot Water Cylinders – Safety and Maintenance.